"Ka Erdy" was born on January 2, 1925, when the Church was only twenty years old. It was Brother Felix Y. Manalo who gave his name, "Eraño," from the words "era" and "nuevo" ("new era") because he was born the day after the New Year. Indeed, Ka Erdy was the first to be called by that name "Eraño." He was the fifth child of Brother Felix Y. Manalo and Sister Honorata De Guzman-Manalo. His older siblings were Pilar, Avelina, Dominador and Salvador. His youngest sibling was Bienvenido. As pioneer members of the Church related, Ka Felix called him "munting anghel" ("little angel"). It is said that Ka Erdy grew up to be very studious. Instead of playing with other children, he was always reading books in his father's library. This love of reading and of knowledge was something he would carry with him as he grew older. He always accompanied his father in visiting the brethren and officiating worship services in different locales. He received elementary education in San Juan, Metro Manila. He also completed high school at the same institution. Before the Second World War, together with his brothers, Dominador and Salvador, they were taught the same lessons taught to those being trained as ministers of the Church. Brother Felix assigned Brother Mariano Castro to teach them Ministerial lessons, Doctrinal lessons, and Bible History. After World War II, he studied law, but because there was an intense need for Church's workers during that time, he left his studies and entered the ministry. He was ordained as a minister of the Gospel on May 10, 1947, at the old House of Worship of Tayuman, Manila, at the age of 22 years old. Brother Felix Y. Manalo personally trained Brother Eraño as a public speaker and debater. Once introducing him before a bible exposition saying, “Ang susunod na magsasalita ay mas mahusay pa sa akin (The one who will speak after me is more skilled than I am.)”. Pioneering brethren in Dinalupihan, Bataan, attested that they witnessed Brother Eraño G. Manalo engaged in a public debate in the plaza of the said town against a Defensor Katoliko (Catholic Defender). According to them, this happened in 1955. They added that "napakagaling ni Ka Erdy na debatista" ("Ka Erdy is really a great debater"). On January 18, 1953, ten years before Brother Felix Y. Manalo's passing away, an election was held in the House of Worship of the F. Manalo Locale in San Juan, Metro Manila (the Central Office of the Church was then located at F. Manalo, San Juan). It was an election for the next Executive Minister of the Church. Brother Eraño G. Manalo was unanimously elected as the next Executive Minister. Prior to this election, Brother Eraño was already serving as the General Treasurer of the Church. Since then, he was trained by Brother Felix Y. Manalo as. For ten years he was trained by his father, especially in decision making. He also served as district supervising minister of the Ecclesiastical District of Manila. Brother Felix Y. Manalo passed away on April 12, 1963. Eleven days later, after the interment, on April 23, 1963, Brother Eraño G. Manalo assumed the duty of Executive Minister of the Iglesia Ni Cristo (Church Of Christ). Throughout the 46 years of Brother Eraño G. Manalo’s leadership, the INC saw the membership continuously grow in number, the proliferation of its houses of worship, and its expansion in six continents of the globe. On July 27, 1968, the late Executive Minister, Brother Eraño Manalo, officiated the first worship service of the Church outside the Philippines. This gathering held in Ewa Beach, Honolulu, Hawaii marked the establishment of the Honolulu Congregation, the first overseas mission of the Church. The following month, the Executive Minister went to California to establish the San Francisco Congregation and lead its inaugural worship service. Both Hawaii and California belong to the region called “Far West” (1976 World Almanac and Book of Facts, p. 88). Thus, these are the official beginnings of the Church Of Christ in the Far West. In 1971, Brother Eraño led the special worship service for the inauguration of the permanent Central Office located at the corner of Central and Commonwealth Avenues. The Executive Minister built on the own legacy of Brother Felix by formalizing the education of ministerial students and continuing to refine church procedures as the number of brethren flourished. In 1974, Brother Eraño established the Ministerial Institute for Development that became the College of Evangelical Ministry, the Church’s school for ministers. In 1975, brother Eraño established the New Era Educational Institute that became the New Era University. In 1984, as part of the 70th year anniversary of the Iglesia Ni Cristo, a special worship service was held for the dedication of the Templo Central, the Church’s largest house of Worship having 7,000 seating capacity. During the stewardship of Brother Eraño G. Manalo, six community housing and agricultural projects were established including the Barrio Maligaya and Bagong Buhay Community Projects, both in Nueva Ecija. The former was for the more than a hundred families from Hacienda Luisita in Tarlac that suffered intense persecution, and the latter were for those victims of the Mount Pinatubo eruption in 1991. Under the same divine guidance, he wrote not only lectures and worship service lessons but also books. Among these were the compilations of lessons taught to Bible students regarding fundamental beliefs of the Church. He also wrote the official ceremony for marriage in the Iglesia Ni Cristo, first implemented on the wedding day of his eldest son, Brother Eduardo V. Manalo. The executive Minister also wrote “And Mabuting Kawal ni Cristo”, a guide with biblical verses intended for ministers of the Gospel and “Ang Salita ng Diyos: Ang tanging Lunas”, for the edification of Church members—these two books were made into audio CD’s with verse reading and original hymns, in 2003. He was the inspirational force behind the Church administration’s projects utilizing technology in reaching out to members and non-members alike. Also during his stewardship, the Church’s radio station (DZEM) was established in 1969. The first TV religious program of the Church aired in 1982, the beginning of the Church’s utilizing of television in propagating the gospel that eventually led to the establishment of NET 25 and GEM TV. 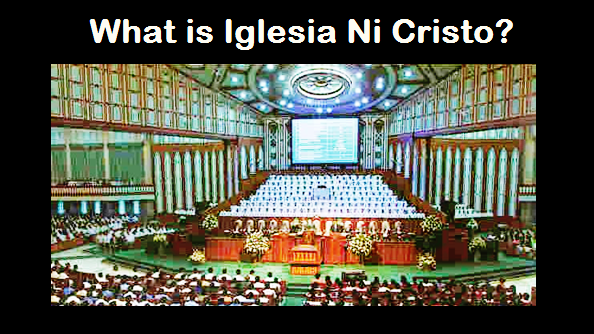 The latter was upgraded to INC TV during the stewardship of Brother Eduardo V. Manalo. Brother Eraño also launched social and civic projects. In 1982, the Lingap sa Mamamayan, the Church’s medical and dental service program, was established. In 1993, the New Era General Hospital was established. Brother Eraño also created the Social Services Department of the Church to systematically administer the Church’s social and civic projects. On August 31, 2009, Brother Eraño passed away at the age of 84. Despite the grief that we, brethren in the Church Of Christ, it is indeed a fitting date to remember, since to all of us, he is more than a hero (August 31 is Heroes Day in the Philippines). Brother Eraño dedicated his long and blessed life to carrying on the divine mission of the messenger of God in these last days, caring for the entire Iglesia Ni Cristo in serving our Almighty God.